Upcoming Freedom to Read Week Event! 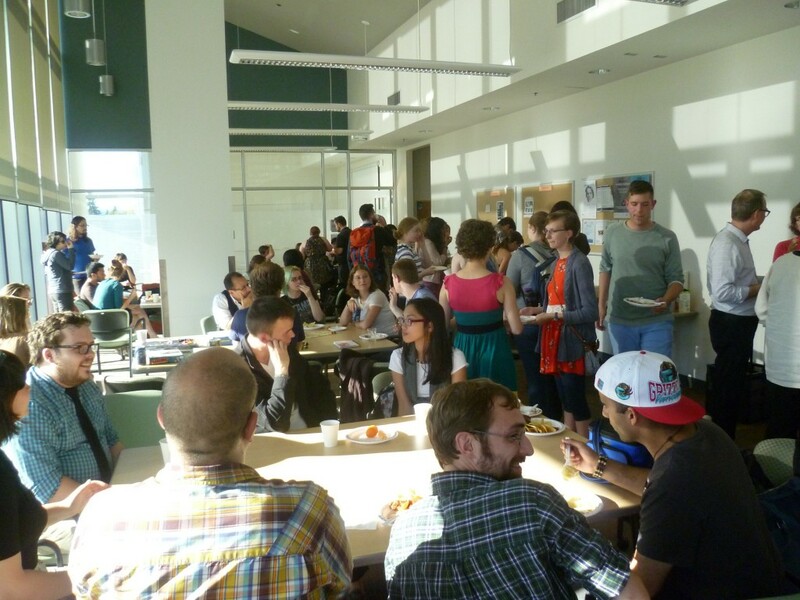 When: Wednesday, March 7, 12-2 p.m.
We hope some of you made it to LASSA’s two recent events: the Welcome Back Potluck last Friday and the first of many Board Games afternoons at SLAIS. 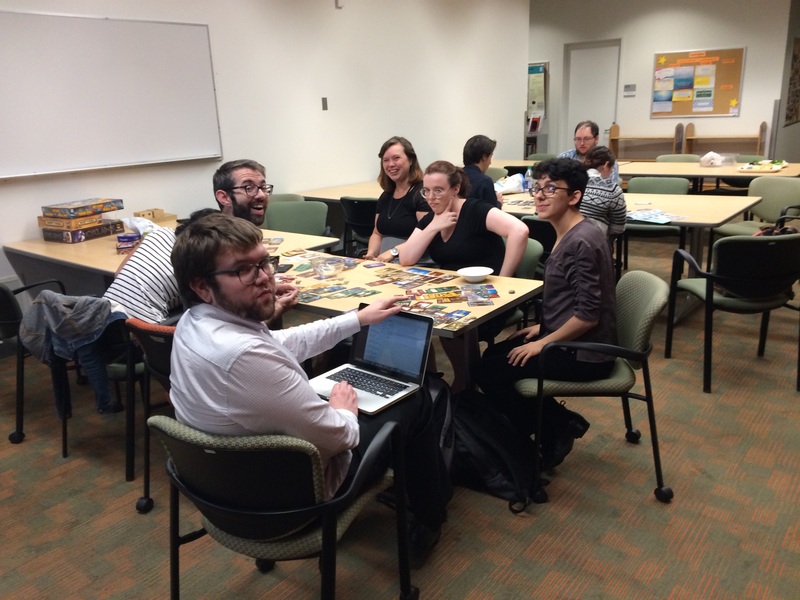 Check out SLAIS students having so much nerdy fun! Keep a lookout for more info about lots of other events coming up. 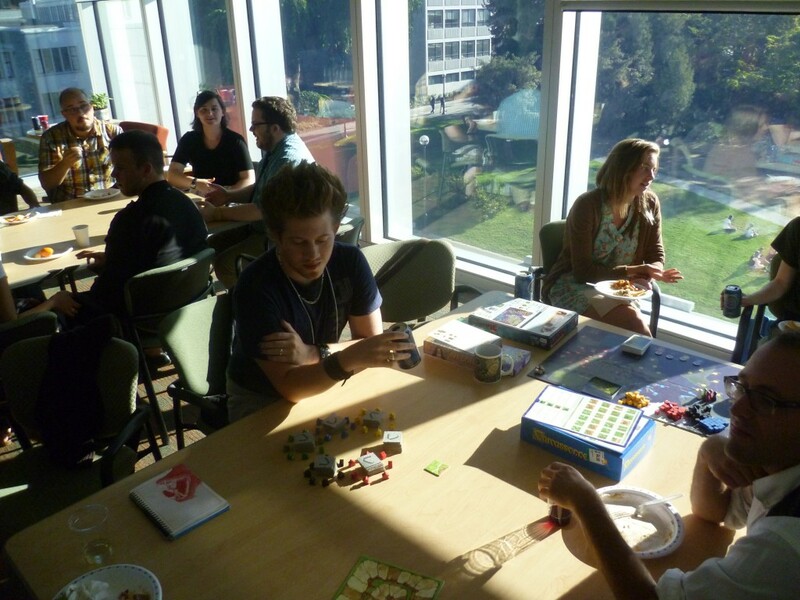 The next Board Games afternoon is on Thursday, September 21st, at 12:00 p.m (meet in the lounge!). We are also planning a follow up event to last year’s super successful Stormcrow Toonie Pub Night. 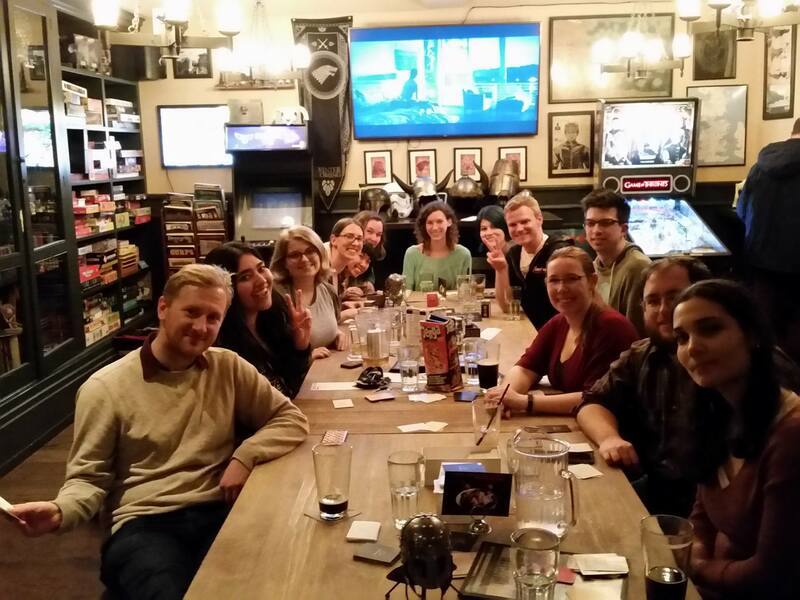 How it works: show up to the Stormcrow pub (Broadway location), get food and/or drinks, meet people outside your cohort, play board games, chat, have fun, get a toonie from LASSA to put towards your bill! This event is slated for Friday, October 6th. 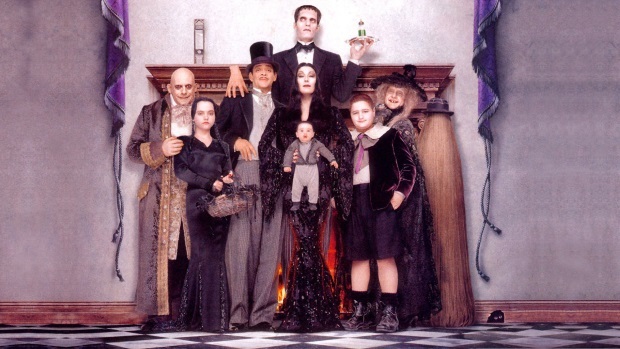 We are also in the depths of planning the annual Halloween Party, which will be happening on campus Saturday, October 28th. Start planning your (not culturally appropriative) costume now! We are also looking for anyone in the student body who has a Serving It Right certification to serve alcohol during the Halloween Party. You would NOT have to commit to serving the whole night. Let us know at lassa.ubc@gmail.com if you are interested. The 2017-2018 LASSA executive just had its first meeting yesterday! If you’re interested to know the details of what we talked about, check out the meeting minutes. We’re planning two events the first week of classes: a new student orientation on September 5th and a welcome potluck for new and old students, faculty, and staff on September 8th. Exact times and locations to be announced! We’ll see you then! 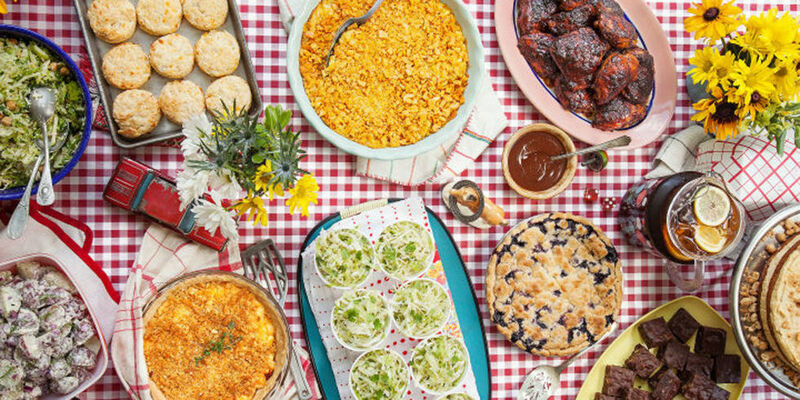 Hopefully our spread at the potluck will look as good as this! Last Thursday a bunch of Slaisers gathered for a LASSA social event in the very apt setting of the Storm Crow pub, which is probably the nerdiest pub that ever existed as it is full to the brim of geek pop culture from LOTR playing on the TVs to a whole back wall full of boardgames to fantasy and science fiction inspired drinks like Butterbeer. LASSA knocked $2 off everyone’s bill because LASSA is awesome like that, and it looks like everyone had a great time. These events are really rad cause they’re some of the only opportunities for you to get to know people outside of your cohort and/or people pursuing a different area of librarianship / archives who you’ll never have classes with. Check us out being all nerdy playing games and drinking beer and stuff. This was actually near the end of the night when some people had gone home already! Watch for the next fun LASSA event coming up soon! LASSA had their first meeting of 2017 today, and we talked about a bunch of exciting stuff. 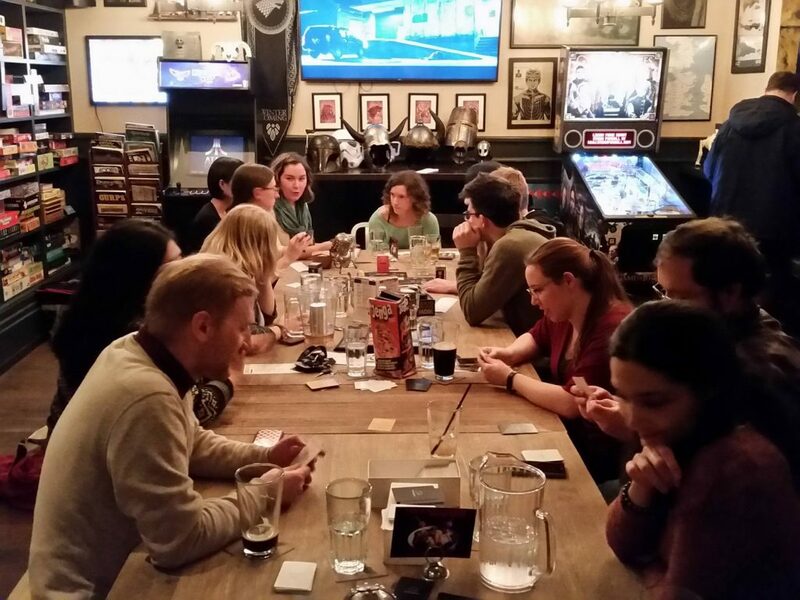 Stay tuned for upcoming events in January, including a pub night and a games night/afternoon. You can check out the Meeting Minutes page for more details about that and past meetings. We also just got the new students’ photos in. Check out the board by the department entrance later today to see the new faces (and probably a rearrangement of where your picture is, if you’re a continuing student). 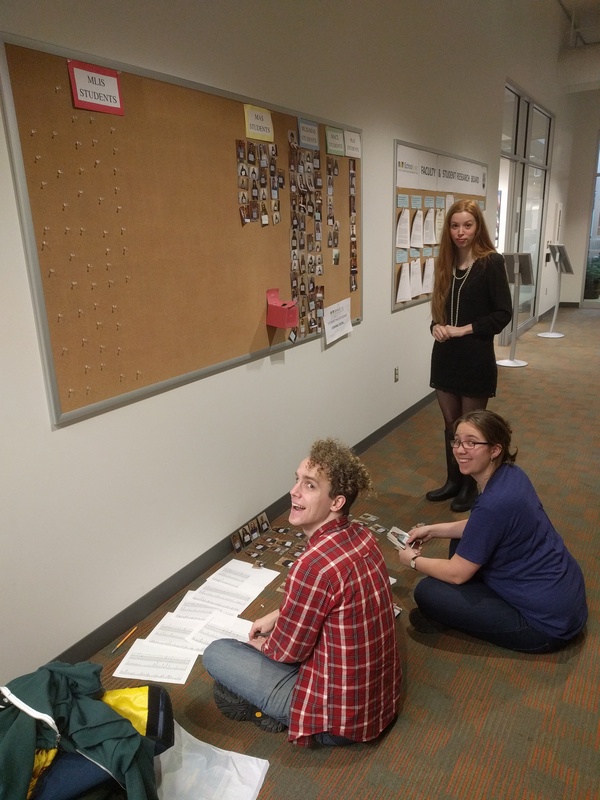 Here are Margrith, Ean, and Leïla sorting out all the new (and old pictures). Doesn’t it look like fun?! LASSA is fun, and important, and (hint, hint) we’re always looking for new members. Meeting called to order by Kelsey at 12:06. Minutes from the previous meeting were approved via email with no revisions during the summer months. Kelsey reports mostly positive feedback from these two events. The faculty were not particularly happy about the admin and faculty awards, as they feared these were too much of a popularity contest. Nominating comments were distributed to non-winning students. Faculty praised the kid-friendliness of the ice cream social. A. Location: Kelsey will check the availability of the Trail Room for this year’s LASSA meetings and will distribute a Doodle poll to determine the most amenable meeting times. B. Agendas: Agendas will be emailed out prior to meetings rather than printed. If meetings are held in the Trail Room, they will additionally be written on the whiteboard. 3. Orientation: 207/209 SUB, 12-3pm, 2 September 2014. Kelsey will send an email to the club presidents and the student body at large informing them of this event. A. 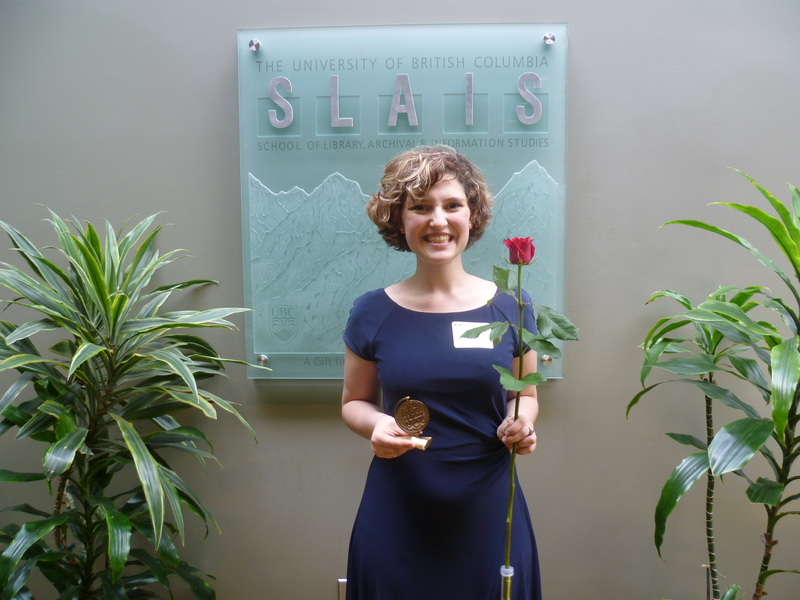 Introduction: Kelsey and/or Nichole will be introducing LASSA and its function within SLAIS. The introduction will include details on Nichole’s role as first-year representative, information on the upcoming potluck, important sources of information (mailing list, Facebook page, calendar), and open executive positions (which potentially include treasurer, MAS representative, member-at-large, AMS representative, and GSS representative – exact openings to be confirmed). Nichole will create and send out a Google document to plan what will be said and to potentially develop a handout for distribution. Representatives from LASSA will intermingle with the students at their tables to promote information sharing. B. Student Groups: Each student club will make a presentation at the orientation. Out on the Shelves will be participating this year. 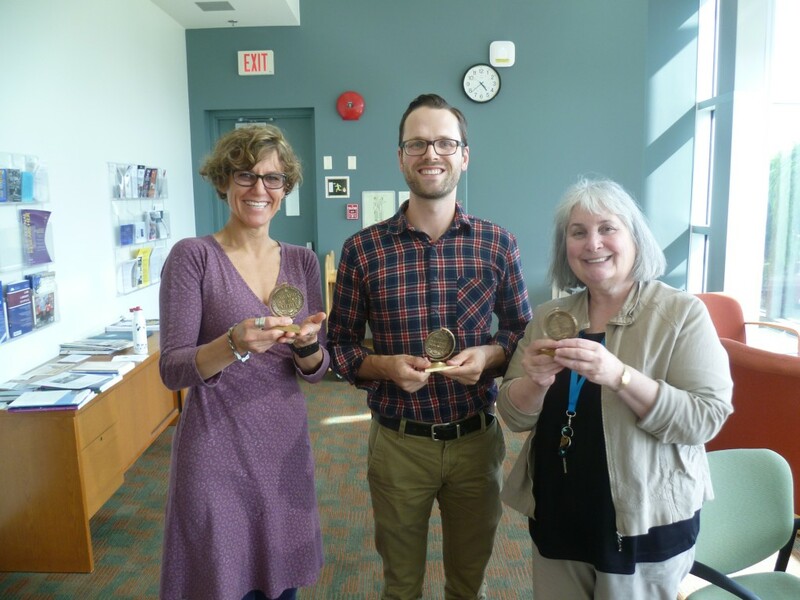 A UBC librarian has asked to present on the Canadian Association of Professional Academic Librarians, with the aim of soliciting members for a nascent student chapter. MACL representatives will also promote awareness of their program. C. Photos: LASSA will once again organize the taking of photos for the stalker wall. Instead of printing out names, the possibility of using a small chalk- or whiteboard will be explored. Matthew will provide a camera for the event, which will be operated by Inti. 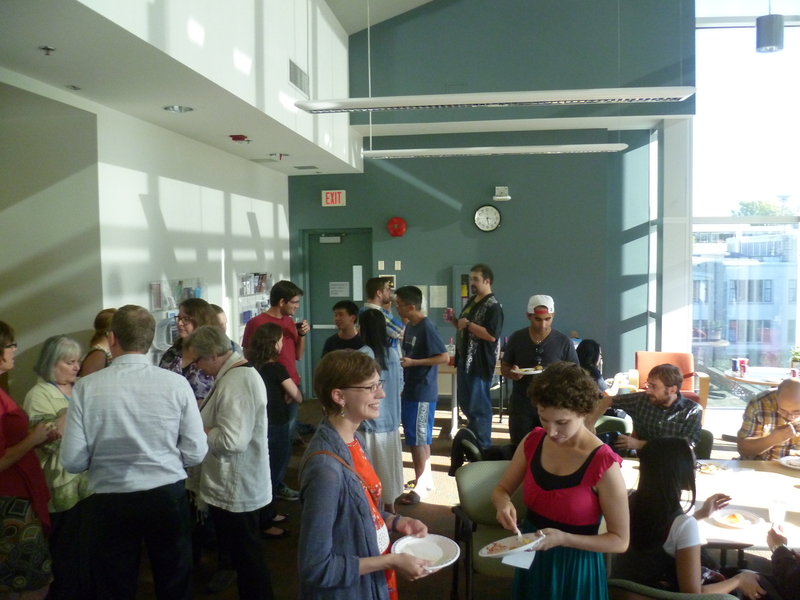 D. Pizza: SLAIS estimates 70 attendees for the event, requiring an order of 20+ pizzas from Pi R Squared. 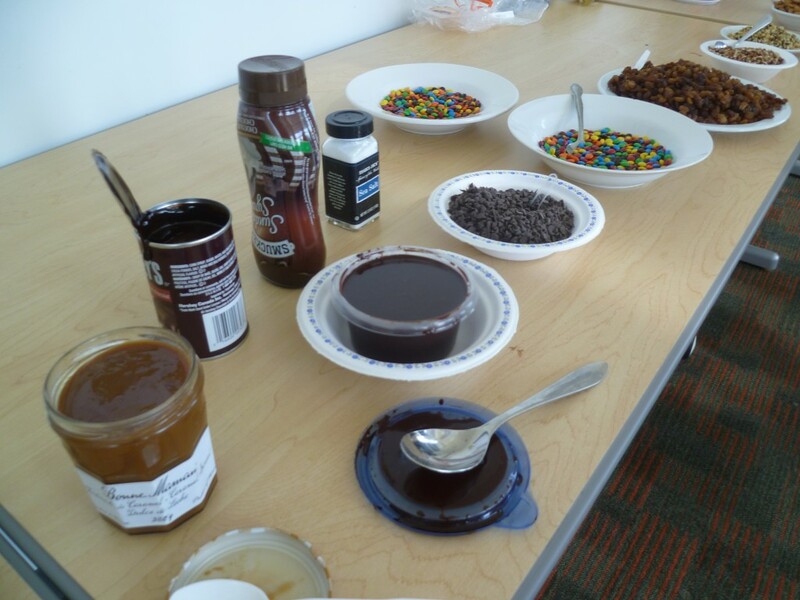 The exact composition of the order was debated and determined; it will include gluten-free and vegan options. The potluck will be held on 5 September at 5pm. At the request of the UBC Food Bank, attendees will be asked to supply a non-perishable food item, raising awareness of the Food Bank’s services. 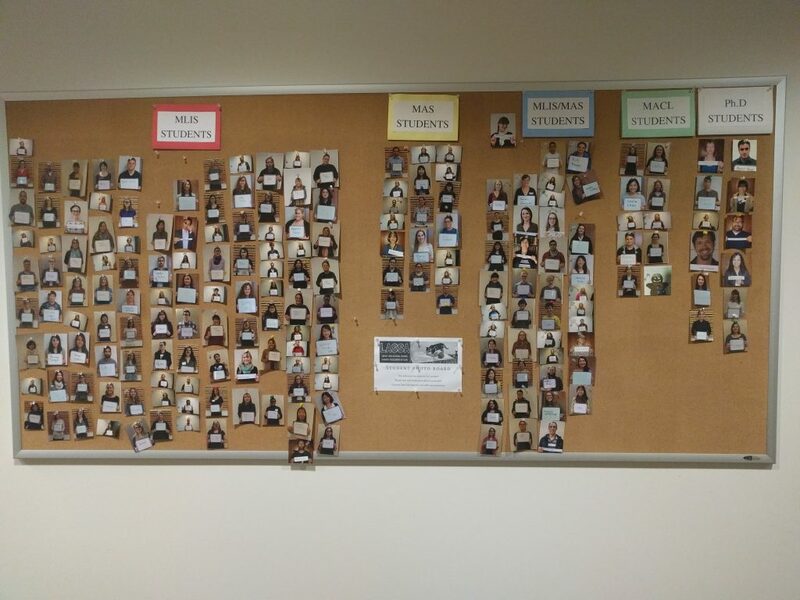 D. Pursuant to a suggestion raised last year, part of the SLAIS bulletin board will be repurposed to promote LASSA. All executive members will supply a photo, email address, and Fun Fact to be posted on this board, accompanied by the description of each member’s position from the website. Meeting called to order by Kelsey at 11:06. Michael moves to approve. Inti seconds. All in favour, none opposed. Motion passes. Minutes for this meeting will be approved by email rather than waiting until September. Proposal to hold meetings in the Trail Room for next year rather than in the SUB will be explored further depending on availability. 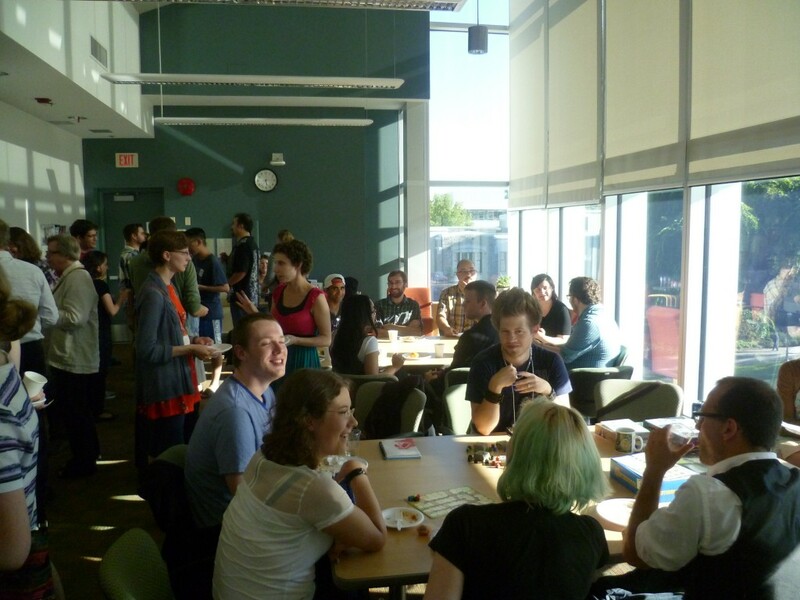 A. Potluck: low staff attendance, but otherwise well-received. A. Bulletin boards: Kelsey proposes having a LASSA bulletin board for next year listing positions and emails (if comfortable). B. Proxies: Inti suggests that there should be the potential for proxies for GSS/AMS meetings where designated members cannot attend. Kelsey agrees but wants to postpone dealing with this issue until September. C. Funding: Inti notes that SLAIS has asked for input on the spending on funds for the upcoming year. A coatrack is in the works; there is also the potential for acquiring new software or hardware. Kelsey proposes Raspberry Pi, which Matthew notes ASIST is already planning to purchase. Matthew proposes a touchscreen monitor for the student space that will display the events calendar, or a Maker Lab with 3D printer. D. Transition: Most members have written and/or received appropriate transition reports. Nicole points out that the first-year rep position is listed on the website as non-voting; Kelsey plans to look into this. Adena proposes having ongoing reports available on Google Drive updated as needed to avoid having to reinvent reports every year. E. LASSA Awards: at the previous meeting Matthew had proposed creating awards to recognize deserving faculty, staff, and students, managed by LASSA. He suggests soliciting nominations via email. Nichole proposes a criterion of contribution to student life. Adena proposes an online poll to determine recipients; Matthew plans to create a Google Form. Kelsey wants to discuss the issue with SLAIS admin prior to sending out emails. In terms of prizes, Matthew proposes creating a 3D printed award. F. Orientation will be planned by email over the summer. G. Representatives: MACL Rep will be voted in during first September meeting. There will be continued efforts to increase MAS student engagement with LASSA, including if possible to location of appropriate representatives to fill empty positions. Kelsey solicits feedback regarding the functioning of LASSA from last year and how best to approach this going forward. Nichole expresses a need to make LASSA accessible to students on an ongoing basis. Inti praises the Halloween party, but there are issues with funding for the upcoming year; Nichole offers to help plan a similar event next fall, and Kelsey plans to liaise with Monica on the topic. Michael promotes LASSA transparency when possible to increase student engagement and reduce the load on individual exec members. Meeting was adjourned by Kelsey at 11:43.